A man has been arrested after two children were stabbed in Co Armagh. Police said a 22-year-old was arrested on suspicion of a number of offences including assault. 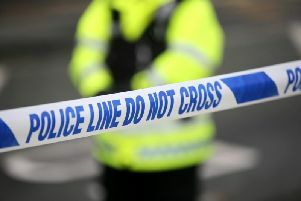 It follows the stabbing of two boys ages 15 and 16 in the Bullring area of Portadown’s Ballyoran Park on Friday night. Sinn Fein Cllr Paul Duffy said the incident took place at a well known hotspot for anti-social behaviour. “The PSNI had just left to attend another incident when the stabbings took place. “I would urge all parents to be aware of where and what their children are at on weekends and other nights. “These two teenagers were very lucky. Another local councillor warned that some parent could be visiting their child in the morgue if the incidents don’t stop. A PSNI spokesperson said: “Police are investigating following a report two teenage males were stabbed in the Ballyoran Park area of Portadown on Friday night, 12 October. Superintendent Wendy Middleton said: “Just after 8pm on Friday night, we received a report that a 15 year old boy had received a wound to his leg and a 16 year old boy had sustained wounds to his stomach and chest. Their injuries are not believed to be serious and they were discharged from hospital after treatment.